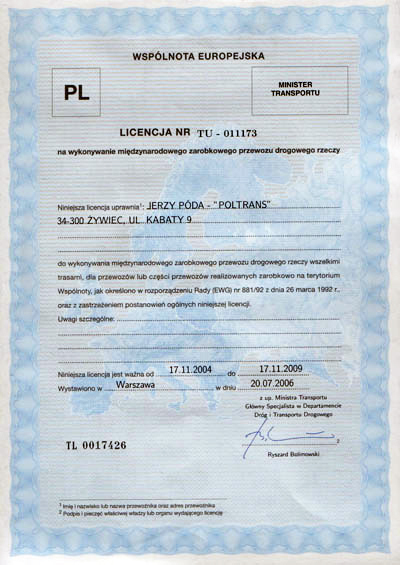 Poltrans commenced its operation in Żywiec in 1993 as a transport company. 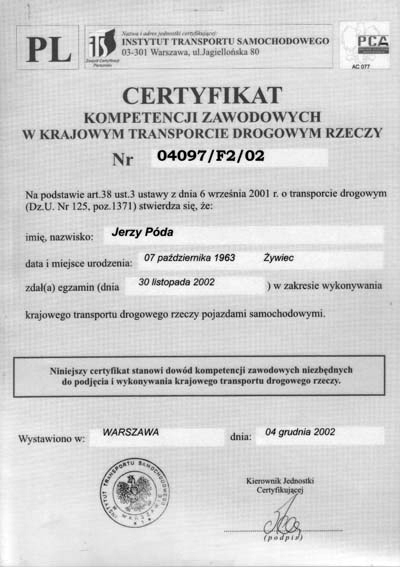 At the beginning, the company focused on transport only in Poland. However, thanks to reliability and commitment of its qualified personnel, our comprehensive services were extended to international transport and freight forwarding. 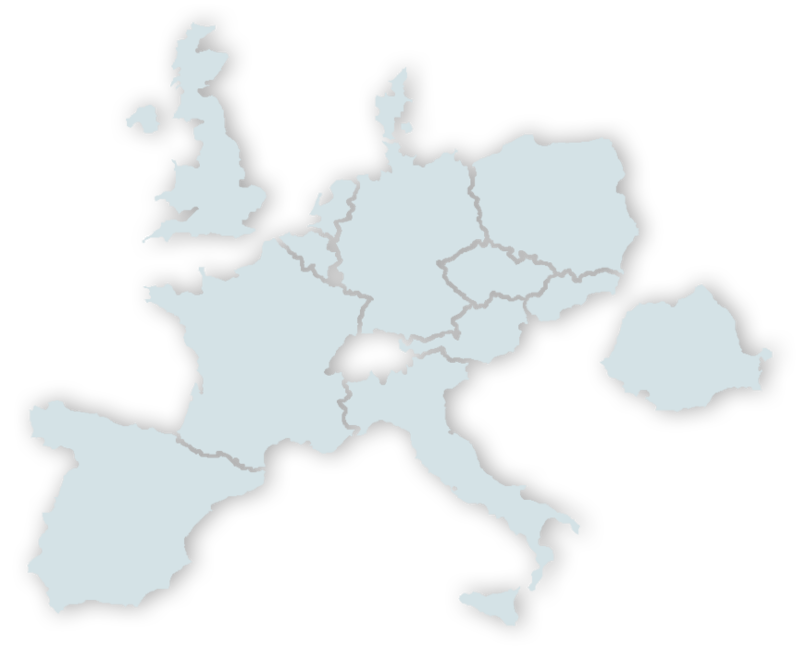 Poland, Germany, the Czech Republic, Slovakia, France, Belgium, Romania, the Netherlands, Spain, the UK, Austria, Italy, and Denmark. We specialise in cargo transport of the maximum space of up to 92 cmb. All our trucks meet international environmental protection standards of EURO5 and EURO6. Since the beginning of our operation, we have been trying to build trust among our customers, thanks to which we have signed strategic agreements allowing for further development in the transportation sector. 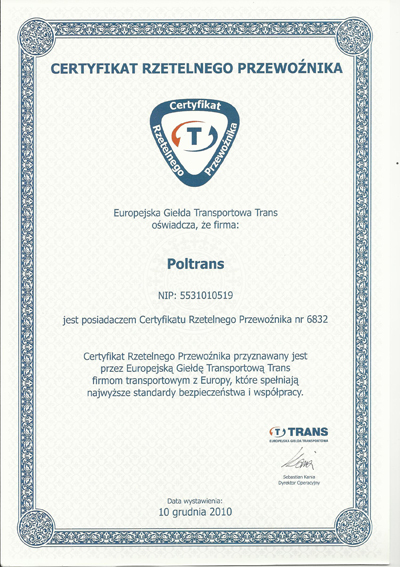 Poltrans has all necessary certificates, licences and approvals to provide international and domestic transport services. 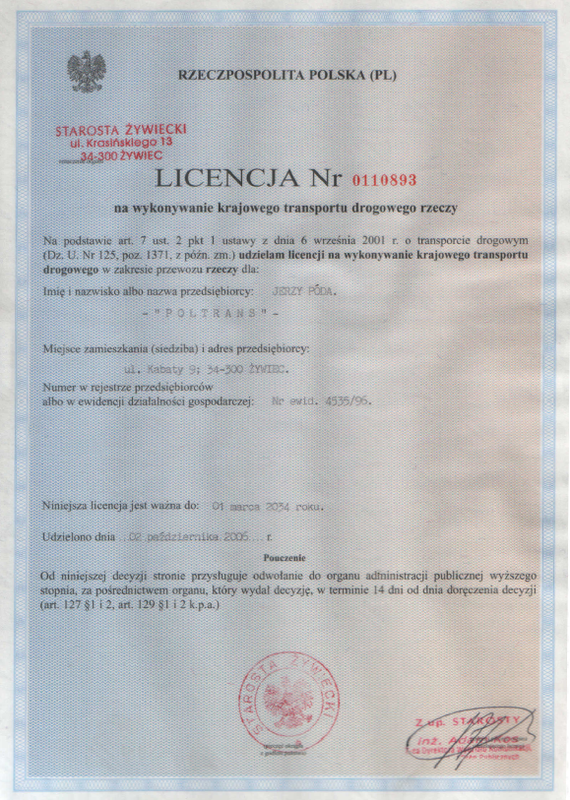 We have been granted with the certificate of Reliable Carrier. Our main advantages are long experience, timeliness, and solidity of our services. 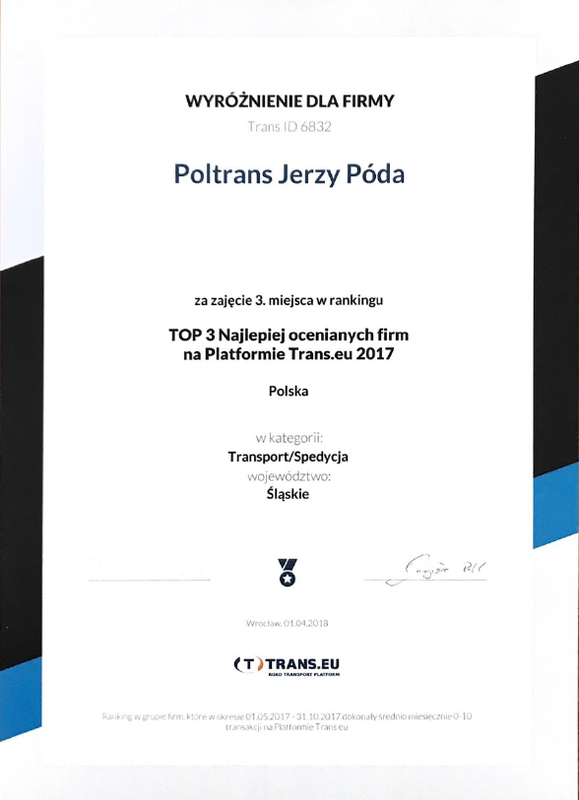 Thanks to domestic and international road transport licences, we are one of leading transport and forwarding companies in the Śląskie Voivodeship.